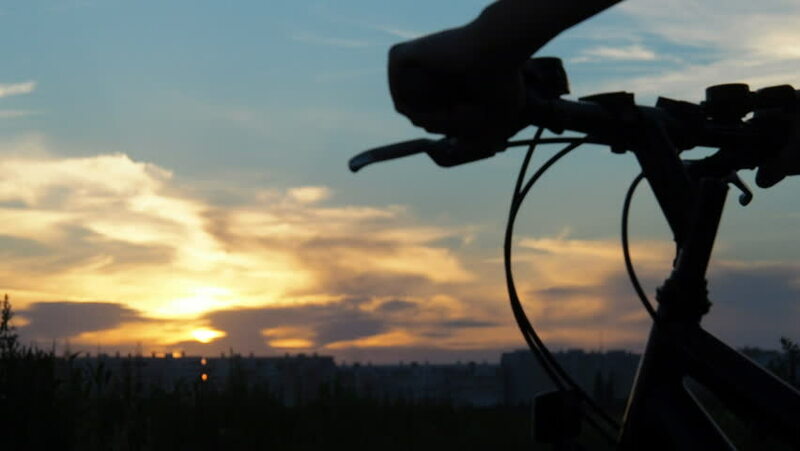 Bicycle at sunset on a background of cityscape. Hands of bicyclist on steering wheel on sunset background. hd00:15A bicycle on the background of a city sunset. Hands on the handlebars.